Does the menu sound interesting to you? 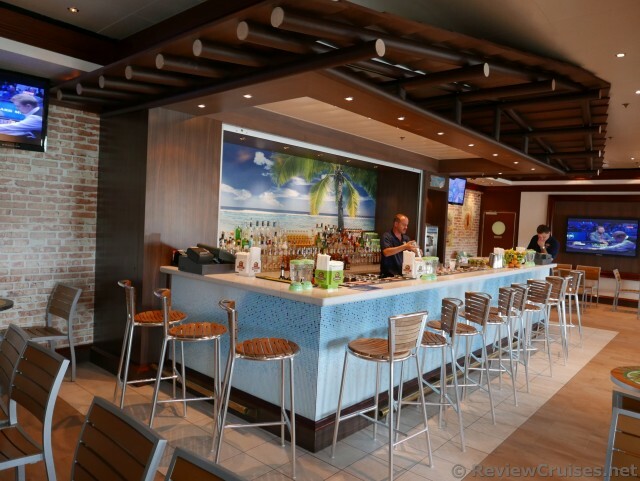 We were aboard the newly-renovated Norwegian Star where one of the additions was 5 O'Clock Somewhere Margaritaville Bar on Deck 7. It was easily accessible from the atrium/front desk. Inspired by the Jimmy Buffet bar on land, it has a hut-like look with a tropical mural in the background. Two flat screen TVs flanked the side of the room, and there was also a Karaoke stage where guests can have fun with. 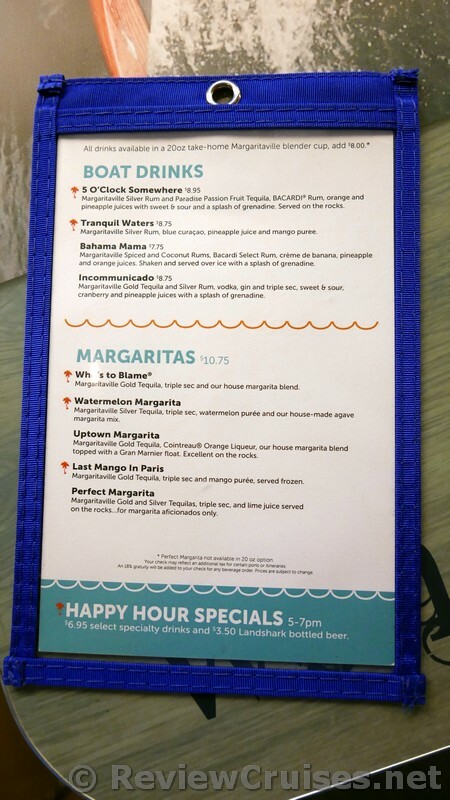 The drinks were reasonably priced, and if are looking to save a few dollars you take advantage of its Happy Hour Specials between 5 and 7 PM, where select specialty drinks are $6.95 and Landshark bottled beer is $3.50. All the drinks are also available in a 20 ounce take-home Margaritaville blender cup for $8.